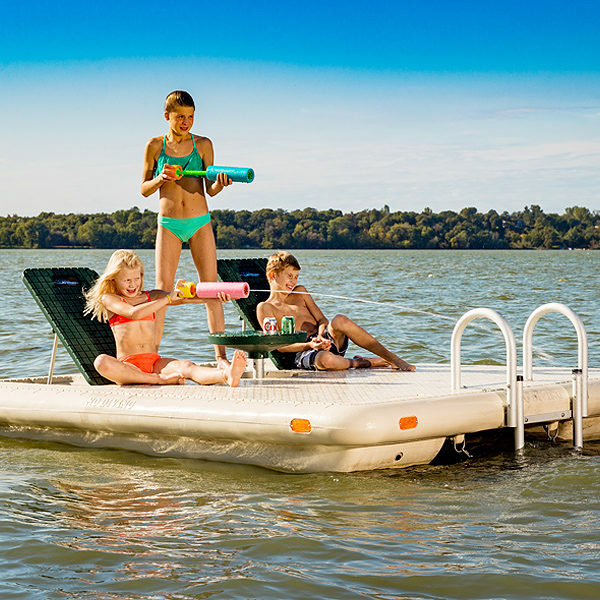 This summer…escape…to the ISLAND swim rafts…the perfect summer-long vacation for the kids, grandkids, or a relaxing vacation for any adult! 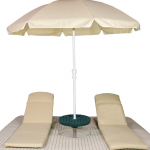 Fold down Lounges & Table when you want a smooth flat deck. Storage under seat backs for keeping a sponge or brush for cleaning. 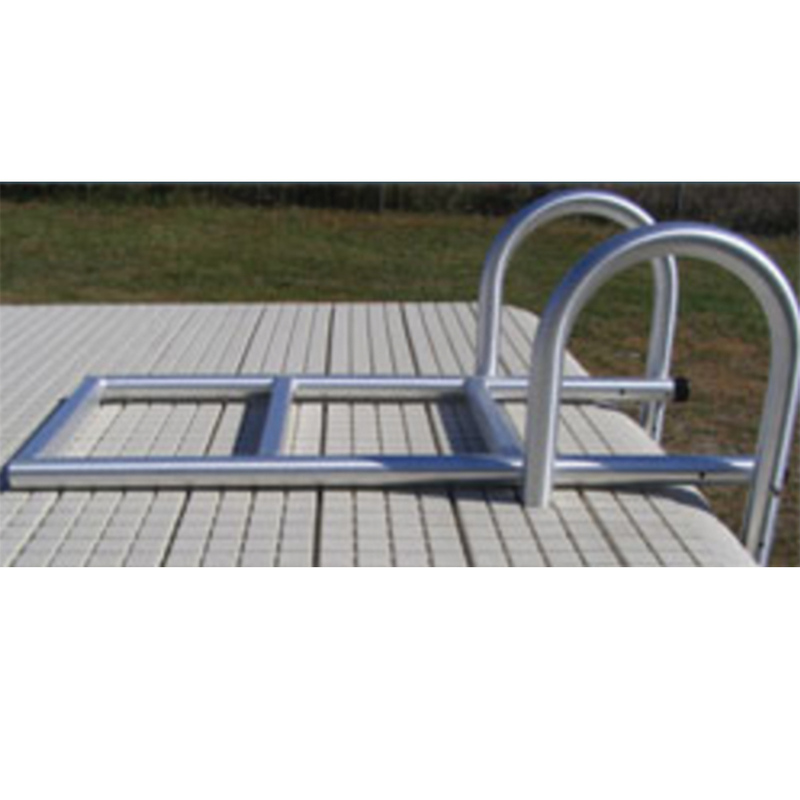 3 Step Boarding Ladder even heavy swimmers can board easily. 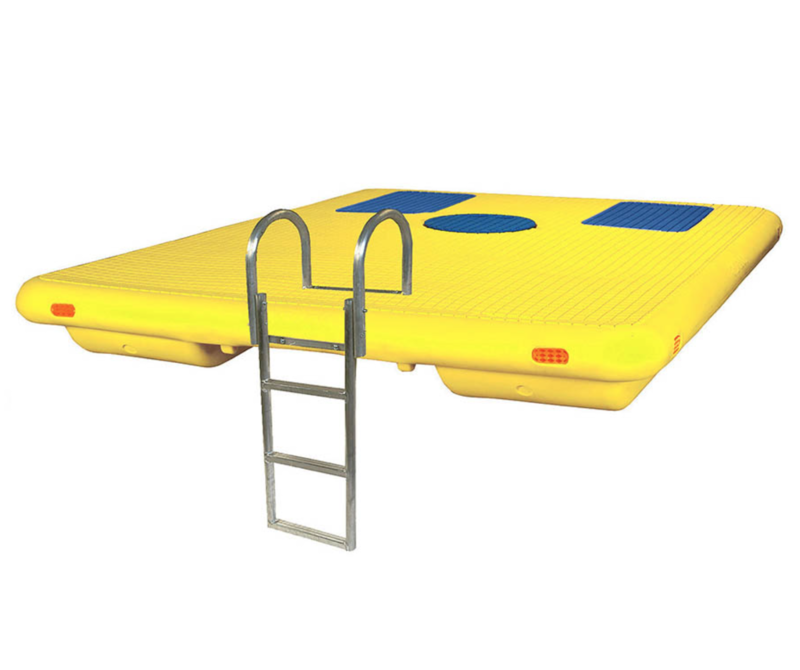 Rounded Corners & Non-Slip Surface Safe for the youngest swimmers. 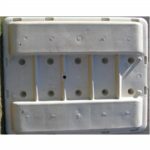 Molded-in eyelets for anchor or pulling in or out of the lake. 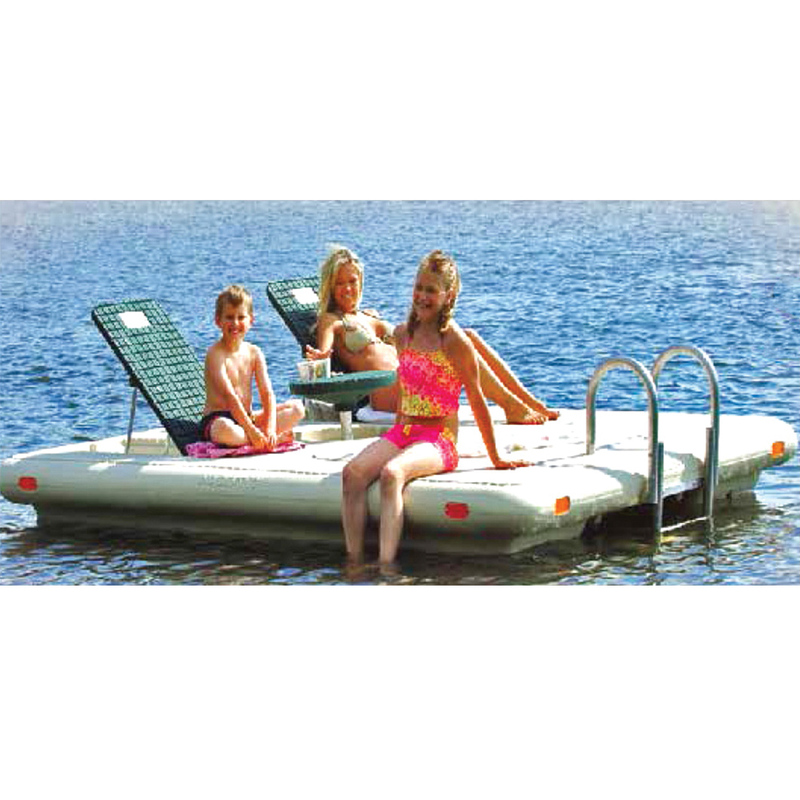 The ISLAND plastic swim raft is loaded with incredible features such as Multi-Angle Back Rests and a Pop-Up Table. 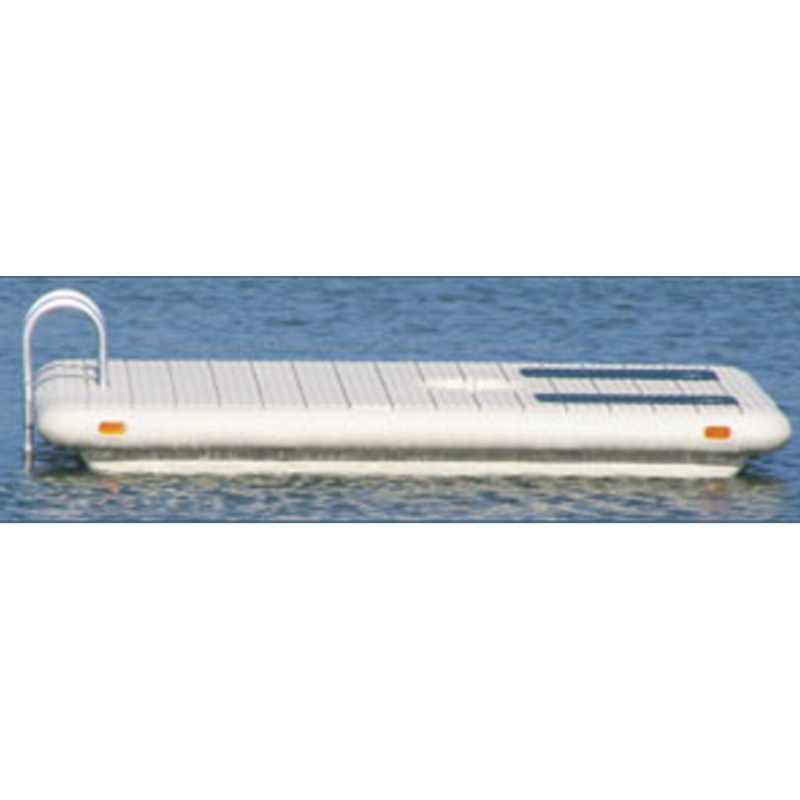 The Otter Island swim raft is unique from other rafts. 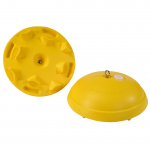 Polyethylene roto-mold plastic construction filled with closed cell–foam. 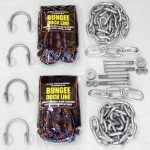 Virtually indestructible and unsinkable. 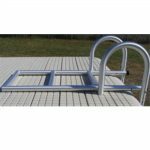 Water rafts that aren’t foam filled are subject to animal damage or if punctured, you11 find them on the bottom of the lake. 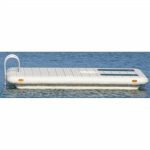 We say that the Otter Island swim raft is virtually indestructible because we’ve had situations, where a boat has run into the Otter Island, swim raft and the Otter Island was still usable. A critter chewed on this but aside from a hole, which can be repaired, nothing happened. 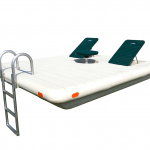 The raft didn’t deflate or sink and the damage wasn’t even apparent until winter storage time. 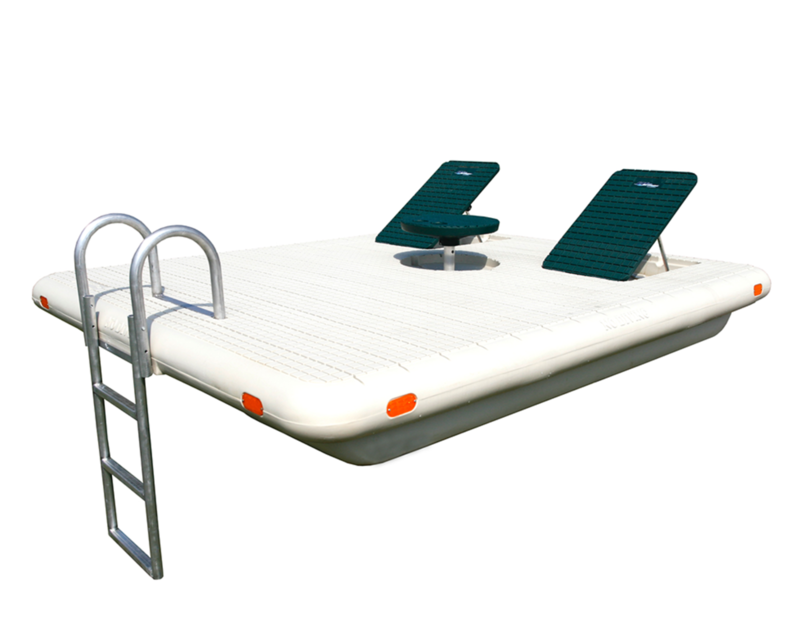 Waterfront rafts are subject to condensation inside the body, or pontoon tube. 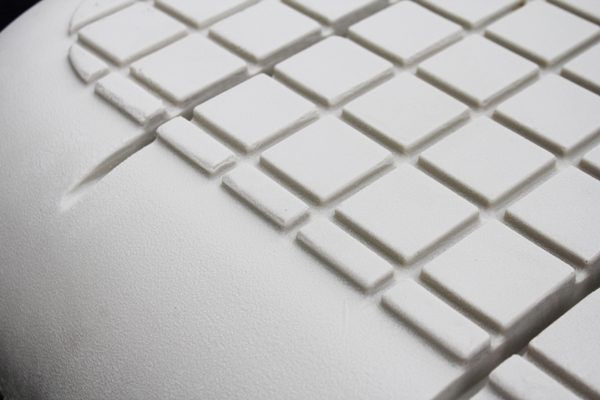 Foam filled flats sometimes have gasses released as the foam cures. 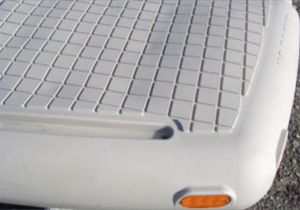 The Otter Island swim raft has drain plugs which allow you to eliminate built up condensation and pressure. 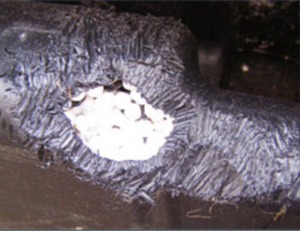 Once a year at storage time, simply open the drain plug and condensation or pressure is easily released. 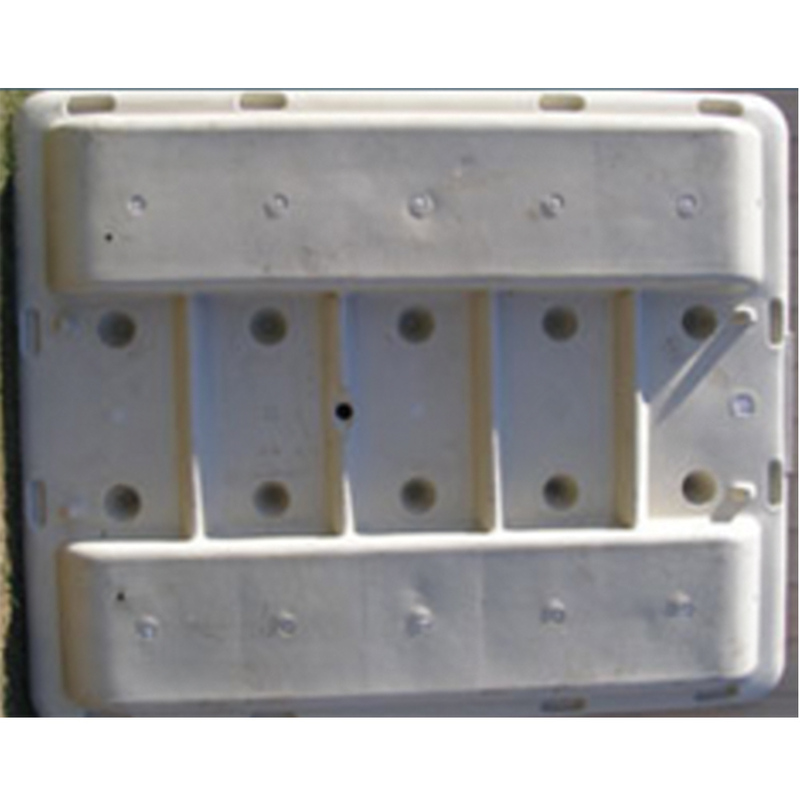 Rafts without drain plugs become heavier over the years as water accumulates with no release. 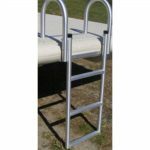 A child-friendly design, with smooth edges and rounded corners, provides additional safety and comfort. 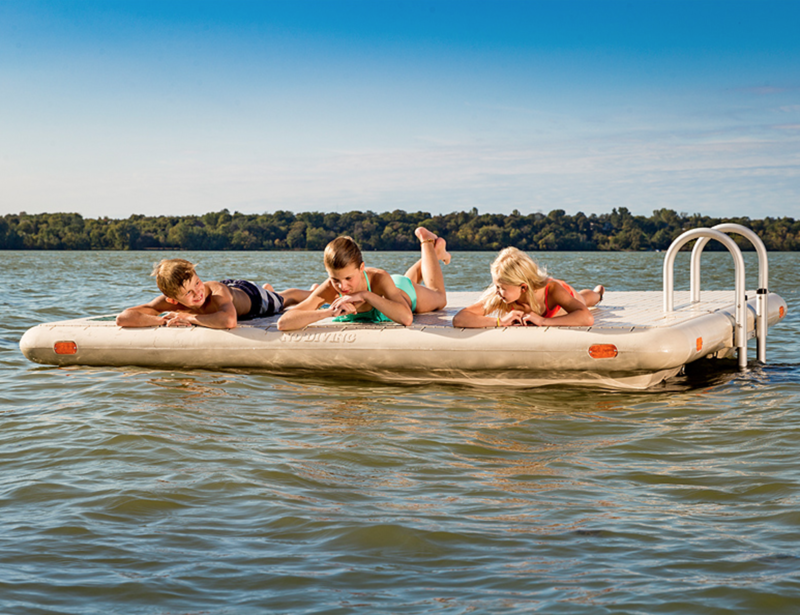 When we designed the Otter Island swim raft we knew that children would love it. 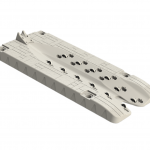 We specifically baked at every aspect of the design for safety. 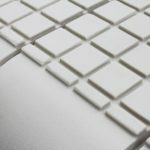 Edges are rounded and smoothed, we actually run hands over the finished product baking for any burrs or sharp edges. 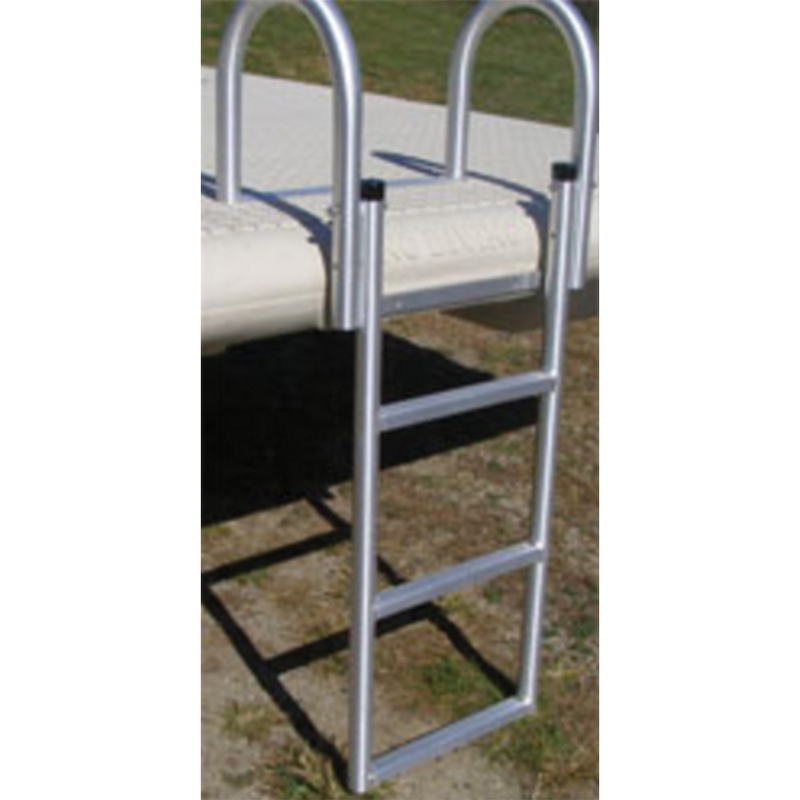 The boarding ladder is rounded tubing (no edges) and specially designed to avoid any sharp edges or pinch points. 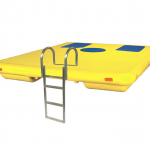 Our children play on our Otter Island swim raft and we insist on the same safety that we want for our family, for yours.